Wowza! 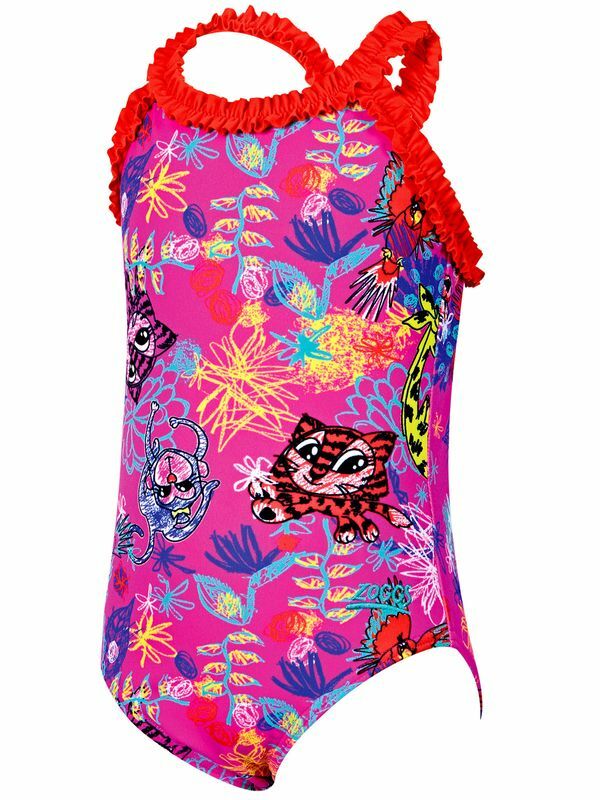 Have you ever seen a look as gorgeous as the Zoggs Scribbly Jungle Ruffle X Back Toddler Girls’ One Piece? With a cherry red ruffle at top, this magenta one piece is going to put her in the limelight with a cartoon and crayon doodle pattern in vibrant shades of neon tangerine, lemon, sky blue, indigo, and electric rose. And X marks the spot when it comes to Zoggs’ greatest treasure. As soft as silk and as tough as a ruby, the Zoggs Scribbly Jungle Ruffle X Back Toddler Girls’ One Piece was built to last and keep your little lady mastering her moves in the pool distraction-free.